In the face of its remote geographical location, limited natural resources, and rocky mountainous terrain, Cape Verde has managed to build a reputation as one of Africa’s must-see countries. Since gaining independence from Portugal in 1975, this archipelago of 10 islands positioned around 400 miles off the coast of Senegal has become a blossoming tourist destination. So, if you keep seeing Cape Verde pop-up when searching for summertime getaways , here are five attractive things to do there, which will convince you to book sooner rather than later. 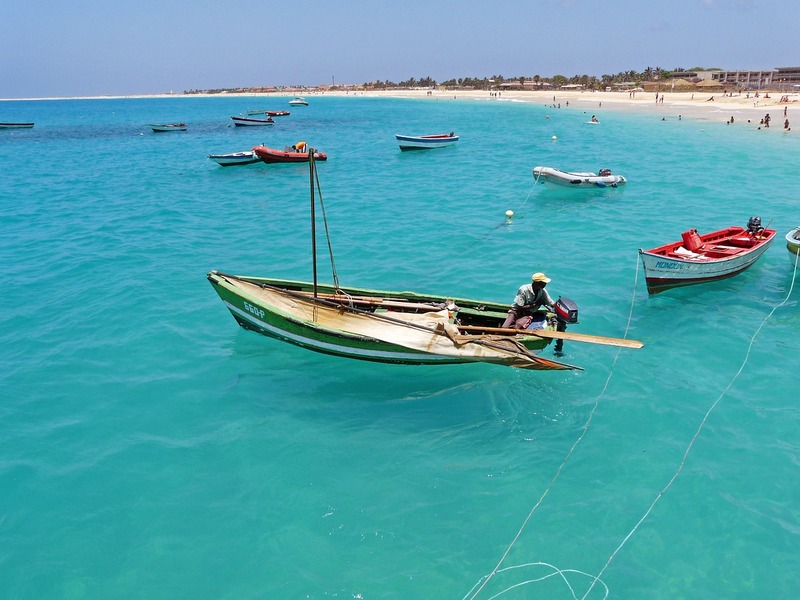 Despite the fact most visitors will fly into the island of Sal and stay there for the remainder of their trip, the rest of Cape Verde is well worth exploring. Take Santiago for example, which boasts an alluring landscape awash with banana plantations and papaya trees. Then there is Fogo, home to the volcanic Pico do Fogo, the highest mountain on Cape Verde at 2,829 m.
Arguably the biggest reason why tourists flock to the sun-soaked shores of Cape Verde is because it enjoys yearlong balmy temperatures, which makes endless days at the beach a thoroughly pleasant experience. 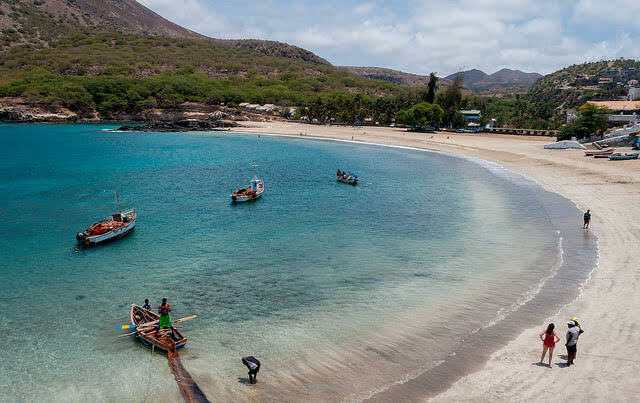 Along with Sal’s 8 km stretch of pristine white sand beach, the island of Boa Vista, which translates as “Beautiful View,” has bundles of coastal charm too. According to some, Cape Verde is home to the most musicians per square kilometer than any other country in the world. While this might be difficult to prove, it is fair to say that the people love their music and after visiting you are bound to as well. Wherever you go, there is a good chance you will hear the unique intoxicating rhythms of various musical styles born here, including the batuque, morna, and funaná. If you are getting a bit restless on the beach, then you can take advantage of the active pursuits available in front of you. Due to its location, conditions are perfect for windsurfing and kitesurfing from late November through to June. Alternatively, go underwater and enjoy some scuba diving or snorkeling, where you’ll find schools of tropical fish as well as bright reefs and even the odd shipwreck. Another way to make the most of the Atlantic is to go on a deep-sea fishing trip, where big catch possibilities include tuna blue marlin, so dont forget to buy fishing gear before you go! But if you’d prefer to keep your feet on solid ground, join in with the locals and attempt to catch some small fry while standing on the edge of the pier in Sal. In addition to these activities and attractions, you can also go quad biking, mountain trekking, and whale spotting. All the while, you will be surrounded by a melting pot of cultures, which has also given birth to some unique fashion and food trends.